From award-winning writer Nick Abadzis (Laika, Pigs Might Fly)! New adventures of the tenth Doctor as played by David Tennant! 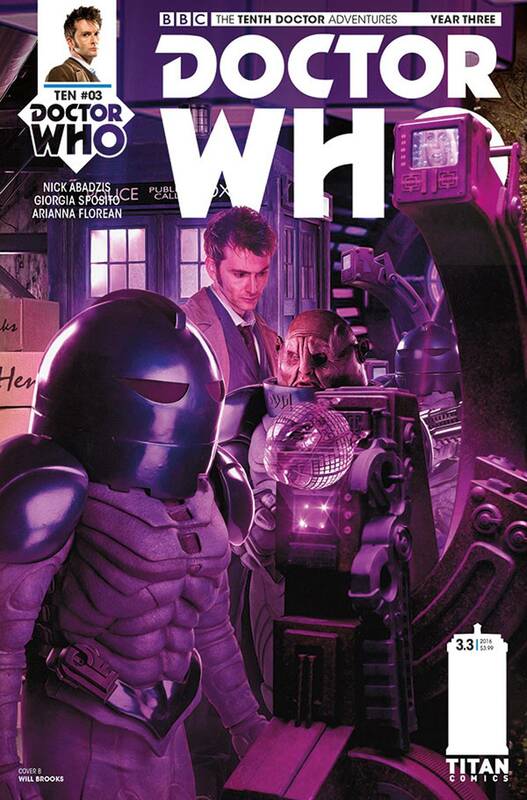 Cover B part of four connecting Doctor Who covers with Ninth Doctor #12, Eleventh Doctor #3.5 & Twelfth Doctor #3.2.